HIAWASSEE, Ga. – Towns County Sheriff Chris Clinton accepted the State of Georgia Law Enforcement Re-certification Award from Georgia Sheriff’s Association President Stacey Nicholson at the Towns County Courthouse. President Nicholson presented the award to Sheriff Clinton on behalf of the Towns County Sheriff’s Office in front of a courtroom filled with supporters and staff. The State of Georgia Law Enforcement State Certification Award is presented to law enforcement agencies that currently meet approved standards. A team of assessors, who have received training conducting on-site evaluation assessments, ensured that the agencies being evaluated continue to meet the 139 approved standards. The on-site assessment typically consists of a two-day event conducted by three assessors. 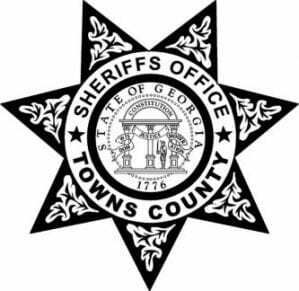 Towns County Sheriff’s Office is one of 23 sheriff’s offices, out of 159 counties within the state of Georgia, to hold state certification status. State certified law enforcement agencies are required to undergo re-assessments every three years to maintain the certification. The State of Georgia Law Enforcement Certification was a goal Sheriff Clinton set for the Towns County Sheriff’s Office to meet. Sheriff Clinton and staff met and achieved that goal, receiving the initial award in October 2012, and has since received recertification two additional times; once in January, 2016, and recently on April 4. Towns County Sheriff’s Office Certification Manager Sandy Morgan also received an award from Georgia Sheriff’s Association President Stacey Nicholson for a “job well done”. Towns County Chief Deputy Terry Connor said that the achievement of the state certification award was accomplished by the effort put forth by staff members of the Towns County Sheriff’s Office throughout the year.